ANN ARBOR, Mich. - The nonconference schedule is complete for the Michigan football team, which sits at 2-1 and No. 19 in the AP rankings. Michigan couldn't get through the first three weeks unscathed, as it suffered its first loss in the opener at Notre Dame. While that loss was a near-fatal blow to Michigan's national championship hopes, the race for a conference title begins Saturday. The Wolverines have a tough conference slate, with road tests against Michigan State and Ohio State, and home games against Wisconsin and Penn State. But the road begins against Nebraska, which visits the Big House at 0-2 under new coach Scott Frost. 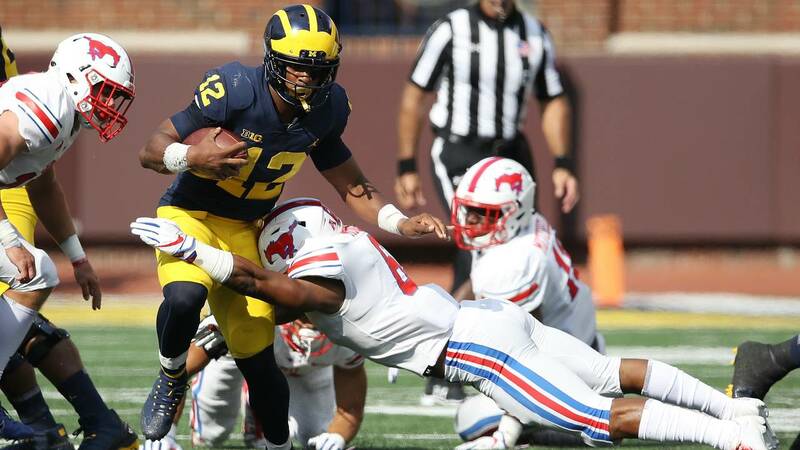 It will be an uphill battle, but Michigan has the tools to compete for a Big Ten East Division title this season, if everything falls into place. Here's a look at the top seven ingredients Michigan needs to make a conference championship run. This season: Michigan has committed 27 penalties for 244 yards. Penalties burned Michigan in the opener against Notre Dame, and the problem wasn't fixed throughout the rest of nonconference play. On Notre Dame's second touchdown drive, Michigan helped the Irish drive 95 yards by turning a 26-yard gain into a 41-yard gain with a penalty on third and nine. The following touchdown drive, Michigan stopped Notre Dame twice on third down but extended the drive with holding and roughing the passer penalties. That touchdown ultimately became the winning score. 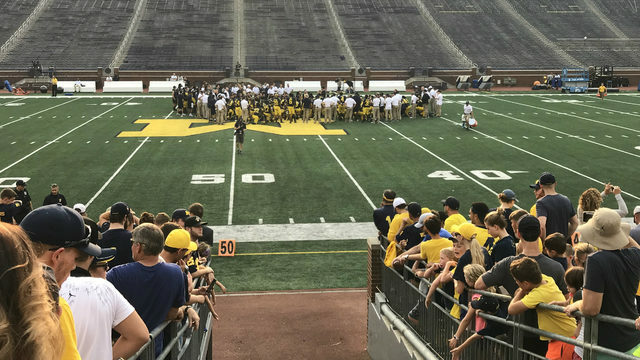 Michigan committed seven penalties for the second week in a row against Western Michigan, and the floodgates opened against Southern Methodist. The Wolverines were called for 13 penalties for 137 yards against the Mustangs. 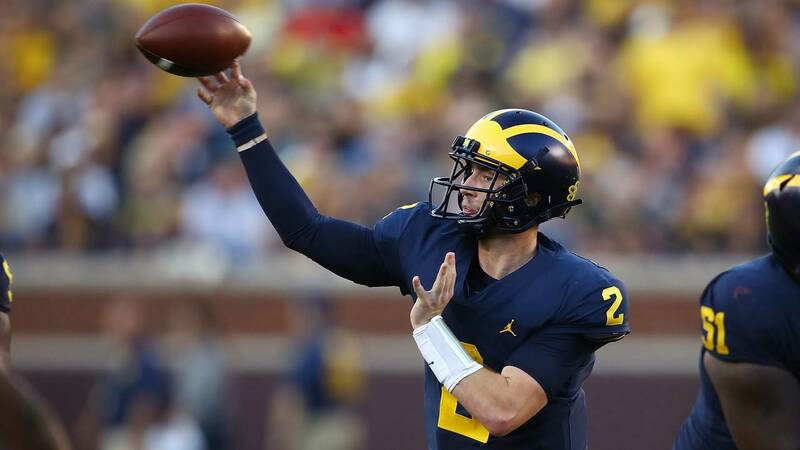 As they did in the season opener, penalties can derail Michigan against tough competition. This season: Michigan has allowed six sacks. Since a disastrous start to the season at Notre Dame, Michigan's offensive line has righted the ship against lesser competition. Quarterback Shea Patterson was running for his life against the Irish, and he was sacked three times. He had more time to pass against Western Michigan and SMU, and was only sacked three times total in the two games. Michigan's interior offensive line has been solid, with Ben Bredeson, Cesar Ruiz and Michael Onwenu improving week-to-week. The tackle positions have been a little less stable, but the Wolverines have options behind Jon Runyan Jr. and Juwann Bushell-Beatty. Whether it's through improvement from the starters or backups taking on more playing time, Michigan has to continue to get better up front. This season: Michigan's defense has tallied only six sacks. Sacking the quarterback has been a calling card for Don Brown defenses at Michigan, and the inability to do so consistently has hurt the Wolverines through three games. Last year, Michigan ranked eighth in the nation with 42 sacks -- an average of more than three sacks per game. In 2016, Michigan ranked fifth in the nation with 46 sacks -- more than 3.5 per game. It's been a much different story this year, even though Michigan has already played two of the easiest games on the schedule. The Wolverines have just six sacks through three games, good for 53rd in the nation. Rashan Gary and Chase Winovich are two of the best pass rushers in the country, but so far this season, they've been limited to 2.5 sacks combined. 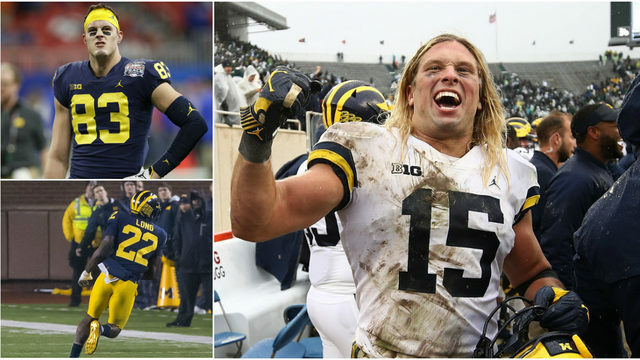 Gary and Winovich have proven track records that suggest they'll turn the season around, but Michigan needs inside rushers such as Michael Dwumfour to step up. A health Aubrey Solomon would also provide a major boost. This season: Donovan Peoples-Jones has 159 yards and four touchdowns on 14 catches. For the first time since he committed to Michigan as the No. 1 player in the state, Peoples-Jones showed his true potential Saturday against SMU. The sophomore receiver only caught four passes, but he turned them into 90 yards and three touchdowns. He torched the coverage for all three scores, and now leads the team in catches, receiving yards and touchdowns. Peoples-Jones is one of the most explosive athletes on the offense, and if he rounds into elite form, Michigan will finally have the playmaker it's needed under Jim Harbaugh. Barring injury, Peoples-Jones will likely surpass last year's season totals in catches and yards over the next two weeks. After the injury to Tarik Black, the Wolverines sorely needed a wide receiver to step up, and Peoples-Jones appears to be that guy. This season: Karan Higdon and Chris Evans have combined for 400 yards and four touchdowns on 64 carries. The Wolverines have had more success this season running the ball, averaging more than 5 yards per carry. But injuries are jeopardizing the running game. Senior starter Higdon leads the team with 228 yards and 6.7 yard per carry this season, but he was a late scratch against SMU due to injury. Evans took over as the starter for the week, but he also suffered an injury after rushing for 85 yards on 18 carries. Harbaugh won't reveal if the duo will be back in action against Nebraska, but most importantly, Michigan needs both to be near 100 percent when the stiffest competition arrives. 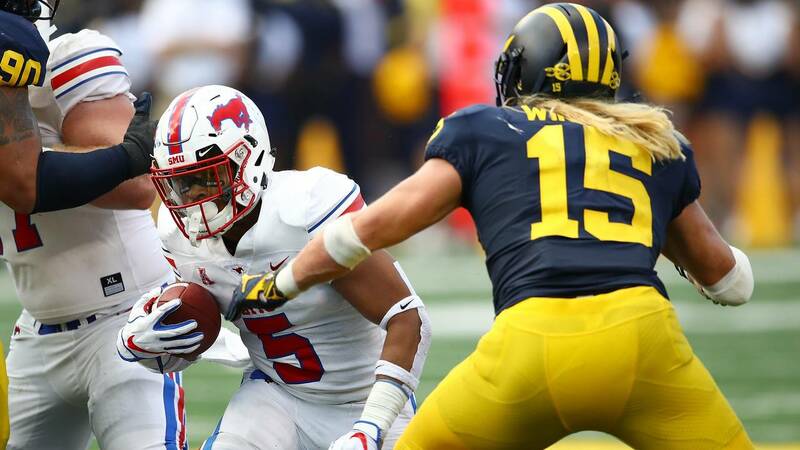 Tru Wilson did a nice job filling in against SMU, picking up 53 yards and a touchdown on 11 carries, but the Wolverines need every weapon at their disposal against teams such as Michigan State, Wisconsin, Penn State and Ohio State. This season: Tight ends have made 12 catches for 159 yards and one touchdown. 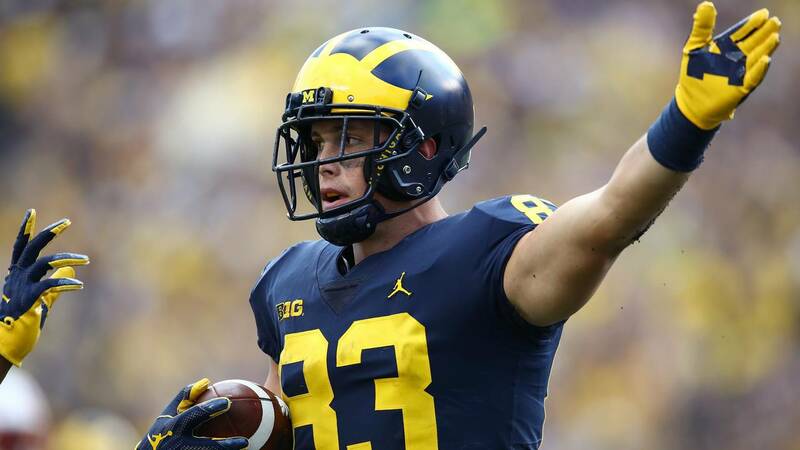 Harbaugh is known for utilizing his tight ends more than typical college offenses, and the Wolverines have recruited several talented options as a result. Last year, the tight ends were more productive than the receivers in Michigan's passing game. Zach Gentry and Sean McKeon each finished with more than 300 receiving yards and combined for five touchdowns. Michigan only had one receiver over 300 yards, and three receivers tied for the position lead with one touchdown catch. Gentry is off to a solid start again this season, although he's dropped a few passes that should have been caught. He's behind only Peoples-Jones with seven catches and 116 receiving yards. McKeon has been quiet, however, catching just four passes for 33 yards and a score. He was Wilton Speight's go-to option on third down last year, and could be an answer for some of the team's third-down struggles this season. Nick Eubanks could also get in the mix. He's only got one catch this season, but he showed he can be a downfield threat as a true freshman last year before missing time with an injury. Michigan also brought in one of the nation's top tight end recruits in Mustapha Muhammad. The wide receivers are stepping it up so far this season, but Michigan has even more weapons to diversify the passing game. Tight end is a position of strength and depth for the Wolverines, and they need to take advantage. This season: Patterson has thrown two interceptions and lost one fumble. Turnovers cost Michigan at least two games last season, and with Patterson now at the helm, Harbaugh is hoping history doesn't repeat itself. The Wolverines committed five turnovers against Michigan State and South Carolina last season, two games that ended within one possession. Michigan also missed a late opportunity to beat Ohio State with an untimely interception. So far this season, Michigan has done a better job taking care of the ball. Patterson has the team's only three turnovers: an interception and fumble against Notre Dame and an interception against SMU. Patterson came into the season with turnover questions due to his time at Ole Miss. 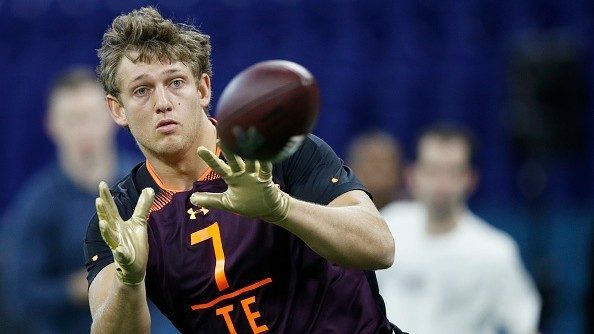 So far, he's worked well in the conservative Michigan offense, completing more than 70 percent of his passes for six touchdowns and two picks. The offense isn't exactly explosive, but if it doesn't put the defense in bad situations, Michigan will have a chance in most games. Patterson is converting the short, easy throws, but he's also shown accuracy downfield. It's a dimension Michigan hasn't had under Harbaugh, and it's why this team has a chance to succeed in Big Ten play. Can Michigan actually do it? The question surrounding Michigan under Harbaugh has never been if the Wolverines have a chance to compete for a conference title, but whether they would actually do it. Michigan has the pieces to make a run in the Big Ten, but for years there's been a lot of talk about potential in Ann Arbor and not much follow through. Now that the Wolverines have Patterson to go along with a loaded defense, it feels like this should be a strong season. Michigan will get exposed by a tough schedule if it isn't ready to compete at the highest level, but there are also huge rewards to be had if Harbaugh can put the pieces together.